Are you looking to transport a car from the Northeastern part of the United States this winter season? If you are a seasonal traveler, or snowbird, National Dispatch offers affordable auto transport services anywhere in the United States. If you do not enjoy the bitter cold that winter brings, a vacation home in the south is the perfect solution. Snowbirds get the best of both worlds. They get the privilege of enjoying cool summers and warm winters. Who wouldn’t want that lifestyle? Instead of spending your winter days stuck indoors, you could spend them soaking up the sun in the south. There are many auto transport companies in the industry offering these types of services. This makes it difficult to find the right one. It is an important decision. After all, you would not trust your car with just anyone. We have created a guideline for snowbirds. 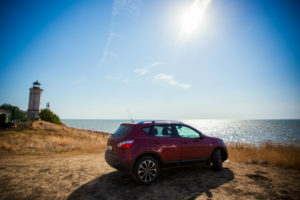 Whether you are a first-time or frequent traveler, this guide can help you pick out the perfect destination, find the right company to ship your car, choose auto transport services, and more. 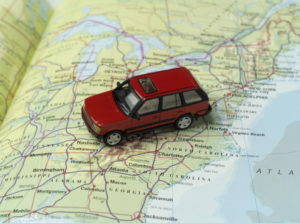 There are many routes and destinations that snowbirds can choose when shipping their vehicle. 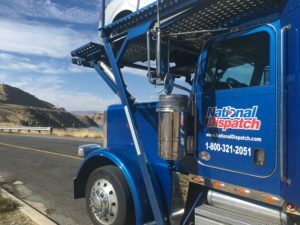 National Dispatch offers services, including coast-to-coast auto shipping, on all snowbird routes within the United States. Many snowbirds are shipping from states where winters can be brutal, such as New York, New Jersey, Maine, Pennsylvania, and Wisconsin. The most popular destinations include Florida, Arizona, and California. Florida is known as the ‘Sunshine State’. 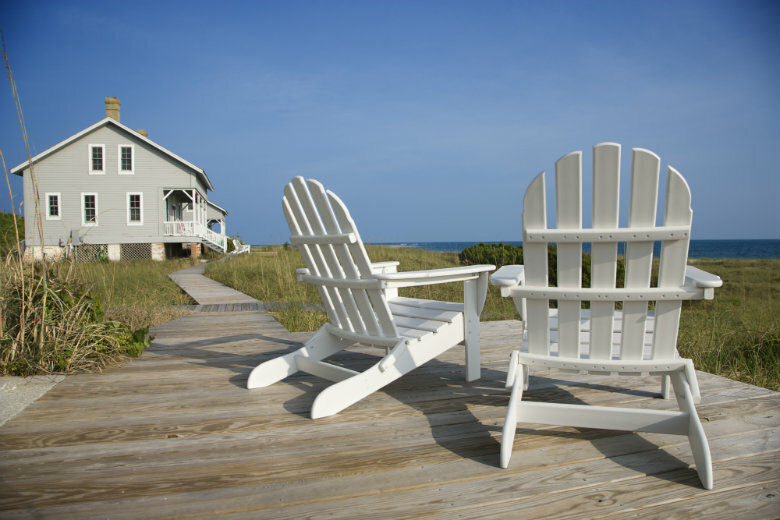 The state offers many opportunities to catch some rays and get a little rest and relaxation. 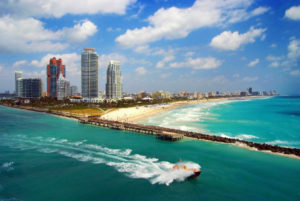 Florida has thousands of miles of coastlines. This is just one of the many reasons why snowbirds flock to the region. You can enjoy the soft sand, warm water, and gorgeous views. This also provides you with the chance to enjoy numerous water activities, such as wind surfing, wake boarding, and parasailing. If you are a fan of theme parks or Disney, then you can enjoy the magical world of Walt Disney World. Orlando is home to four theme parks, so you will have plenty of options available to you. The fun and excitement does not end there. Many snowbirds choose Florida because of its national parks and sites. The Everglades National Park is a must-see if you are visiting this region. It is home to many rare plant and animal species. All across the state you will find the opportunity to submerse yourself into the art, culture, and history. In major cities, you can watch a concert, Broadway-style show, or dinner theater. There are also numerous museums to check out. If you are a sport fanatic, go watch one of the local teams play Baseball, Basketball, Football, or Hockey. 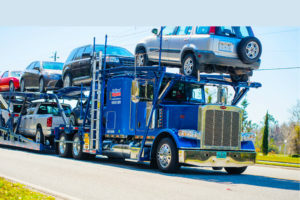 Learn more about Florida Auto Shipping Services. Arizona is best known for being home to the Grand Canyon. However, the state has much more to offer visitors than this natural wonder. Arizona is filled with beautiful scenery, from the views of Cathedral Rock to those of Havasu Falls. The state is a picture-worthy destination. You definitely do not want to forget your camera at home. Many snowbirds are attracted to its mild daytime temperatures. During the winter season, many popular cities in Arizona have an average temperature of 70 degrees. However, at night, it can become rather cool. If you are not a fan of the heat, Arizona is not the place for you during the summer months. Temperatures can reach above 100 degrees, making it hot and humid. 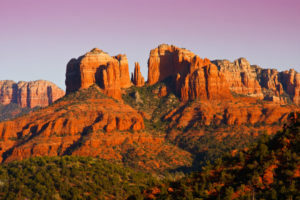 Seasonal travelers choose Arizona as a destination because of its landmarks, monuments, canyons, and parks. The Saguaro National Park is a top Arizona attraction due to its plants. In February and March, you can see the cacti in bloom. The numerous parks and canyons attract adventurers. You can hike the trails, camp under the stars, or explore with a ranger-guided tour. Learn more about Arizona Auto Shipping Services. California is known as the Golden State because of its association with the gold rush, its golden poppies, and its breathtaking sunsets over the Pacific Ocean. Millions of people visit California each year. Some of these visitors include snowbirds, escaping their winter home for a more sunny stay. 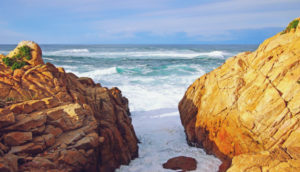 Most parts of California hosts warm weather all-year round, making the state the perfect vacation destination. From theme parks to vineyards to mountains, California has it all. California is home to Disneyland, a top state attraction. Although different from its counterpart, Walt Disney World located in Florida, Disneyland still promises visitors a fun time. California has thousands of miles of coastlines, making it a great place to relax on the beach and watch the sunset. California is for adventurers and explorers, as well. There are numerous sights to see. To name a few, there is Alcatraz, the Hollywood Sign, and Golden Gate Bridge. If you are a hiker or just enjoy the great outdoors, then pay a visit Yosemite National Park. The park offers trails for hikers of all experience levels. Learn more about California Auto Shipping Services. 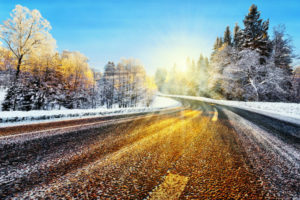 Why Use Auto Transport For A Seasonal Move? Saves you time. It can take hours, or even days, to get from one part of the country to another. Why waste your vacation driving? Instead of driving, you could have your vehicle shipped to your getaway. This way your travel plans will not be delayed, and you can start relaxing as soon as possible. Saves the car wear and tear. There is no risk driving your car in the winter weather, because it will be transported via a transport carrier. Using an enclosed carrier protects your car from the weather and road elements. Auto shipping also proves useful at preventing the accumulation of miles from long-distance drives. Can explore with your own vehicle. We have already discussed the many beautiful places to go and stay during your trip. Why rent a car when you can explore the sights in the comfort of your own vehicle? Why Do Snowbirds Count On National Dispatch? Experienced staff. From our dispatchers to our drivers, you can count on receiving a personal level of customer service. All our staff are trained auto transport professionals, who make it their top priority to ship your car safely. Hassle-free. We seek to make the auto transport process easy, from start to finish. It starts with our auto shipping quote. Request a free, instant car shipping quote on our website using our quote calculator. No personal information is required. Convenient shipping options. At National Dispatch, we provide numerous shipping methods and options for added convenience and peace of mind. We have three different shipping options available to you depending on your specific timeline and budget. Open Auto Transport: This transport method is the most widely used by our customers, as it is the industry standard. The car will be transported via an open-air carrier. Due to its construction, the car will be exposed to weather and road elements. Enclosed Auto Transport: This method of transport provides extra protection to the vehicle, shielding the car from weather and road elements. This transport option is more expensive than the alternative method of open auto transport. It is recommended for sport, exotic, classic, and luxury vehicles. Door-To-Door Auto Shipping: With this shipping option, you do not have to worry about delivering your vehicle to a terminal or picking it up. Instead, the driver will come directly to your home. Then, the car will be delivered safely to its destination. Shipping a car can save you money on travel costs. Cross country road trips involve many expenses. Snowbirds who choose to drive their car to their destination can expect to pay for gasoline, hotel stays, and food. Unexpected emergencies, including flat tires or dead battery, should be calculated into the budget, as well. Instead of driving, choose the better alternative, to ship your car to its destination. Distance: Distance is one of the primary factors used in calculating how much it costs to ship a car. The farther the driver must go, the more expensive car transport services will cost. Vehicle Make & Model: Our car shipping quote calculator requires the vehicle make and model, so that we know how to prepare for transport. Larger vehicles take up more space, and therefore cost more. Modified cars will require special attention. Transport Type: National Dispatch offers two methods of transport, open and enclosed auto transport. While open auto transport is the standard shipping method, enclosed auto transport provides more protection from weather and debris. Enclosed is more expensive. Vehicle Condition: An important point to consider is if your car is operable or not. Inoperable cars require special equipment for loading and unloading purposes. For this reason, the cost is more for non-running vehicles. Location: Prices may vary, not just on how far you are going, but where you are going. Auto shipping routes depend on major highways. Rates may vary if you are shipping to a major city or small town. Book in advance. It is important to prepare for auto shipping ahead of time. This ensures that you have enough time to make travel arrangements and prepare for shipping. It also allows us time to make arrangements on our end and ensure that we have everything in order. Clean your car. Clean your vehicle before the driver arrives. A clean vehicle is important for inspection. A vehicle inspection report will be conducted on the car prior to and immediately following delivery to assess the car’s condition. This is for insurance purposes. Remove personal items. We do not recommend packing any personal items in the vehicle, as you will not have access to these items during transport. In addition, damage as a result of these items is not covered by insurance. National Dispatch ships vehicles for snowbirds anywhere in the United States. We make the transport of your car from your northern home to your southern destination fast and easy. When it comes time to return home, we can transport your vehicle to its destination, safely. We offer affordable car transport rates using our online car shipping quote calculator. Request a free, instant car shipping quote, today. No personal information is required. This means no email or phone number. Only four fields are required: vehicle make, vehicle model, pickup location, and delivery location. If you prefer to speak with a representative, call us at 800-321-2051.